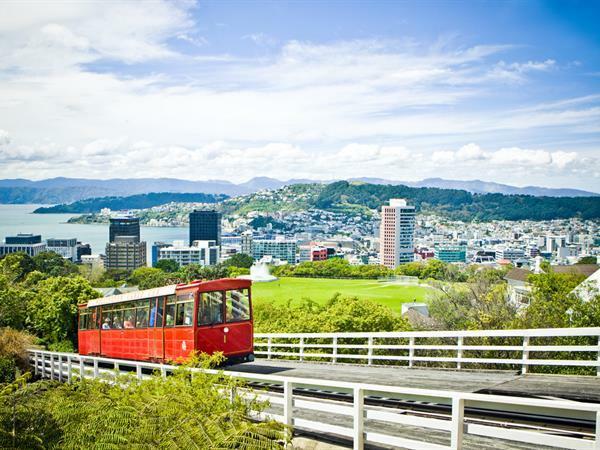 Join locals and visitors alike in a historic trip on the Wellington Cable Car. For over a hundred years passengers have enjoyed the dramatic views of our growing cityscape and the surrounding hills that define Wellington's harbour. It offers a charming escape from the busy city streets to the tree lined walkways of the Botanic Gardens. Emerging at the top, check out the lookout and Cable Car Museum or walk through the Wellington Botanic Garden. You'll also be a short walk from Space Place at Carter Observatory. The view from the lookout takes in the city's central business district, Mount Victoria and out across the harbour to the Hutt Valley and Eastbourne. Return trips are available or you can take a leisurely walk through Wellington Botanic Garden and historic Bolton Street Cemetery, to Parliament.